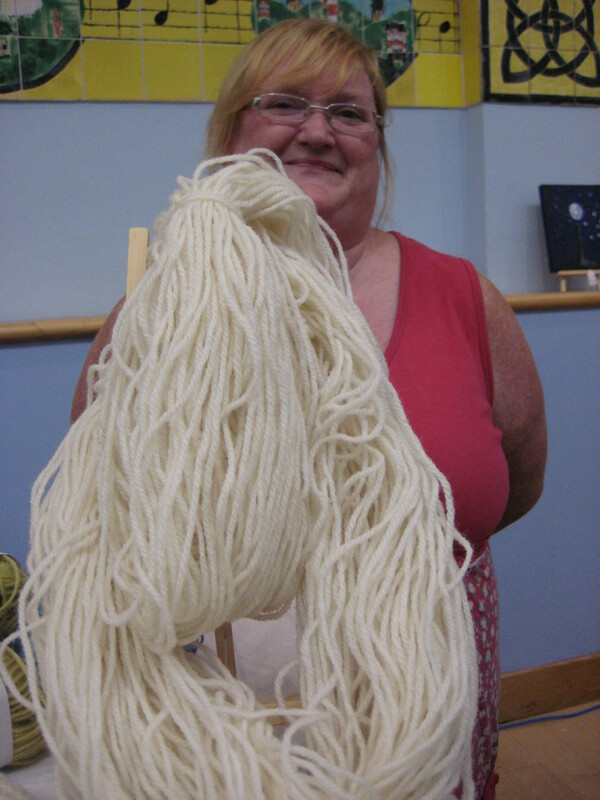 This beautiful skein of pure new wool comes from a flock of Llanwenog sheep on a small holding in Llanllwni near Lampeter. You don’t have to travel far from Dinas, however, because you’ll find it on Jana Davidson’s ‘Leafy Lion’ stall at Fishguard market – held every Thursday at Fishguard Town Hall. This wool is a pure Welsh product and the breed originated from west Wales. 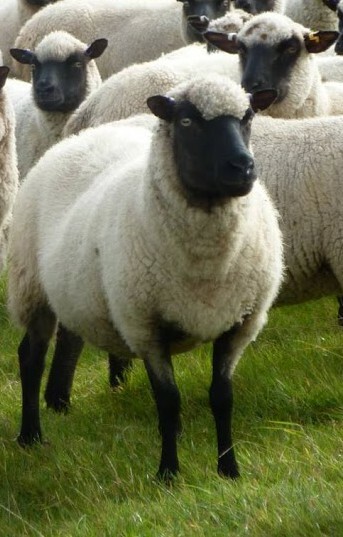 Until recently Llanwenogs were on the Rare Breeds Survival Trust ‘watch list’ but their calm temperament and good looks have been winning farmers over and their popularity has grown. The Llanllwni fleeces are spun at a small woollen mill near Newcastle Emlyn and the wool is sold un-dyed. Sue Ullrich, who farms the small holding, is a keen knitter herself and has achieved a firm yarn with good stitch definition – just the thing for cables or Scandinavian patterns. If you’re looking for other natural colours, Jana has a selection of those too. Sue’s neighbours have supplied her with wool from Black Mountain Sheep, Grey Shetlands, Zwartbles and more, so you’ll find a wonderful range of grey, mottled and black yarns. If you are knitter or you know a knitter, I’m sure you’ll find this wool hard to resist. This entry was posted in Crafts, Farming and tagged Dinas, Dinas Cross, Fishguard, fleeces, knitting, knitting wool, sheep, Tegfan, undyed yarn. Bookmark the permalink.